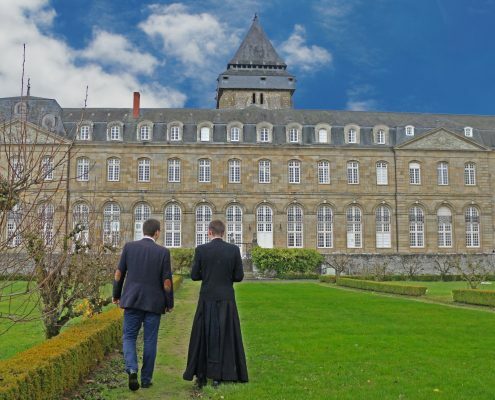 For young men posing themselves the question of the vocation to the priesthood, the Community proposes a discernment retreat just before Easter. The dates are flexible and you can come for as many days as you like. On the program: conferences, individual accompaniment, participation in the life of the seminarians, prayer, silence, work and service, etc. You are very welcome to the retreat even if you do not speak French. Do not forget to visit the page "Becoming a priest" with several articles regarding the question of the vocation!